An A5 sized notepad with your custom print. 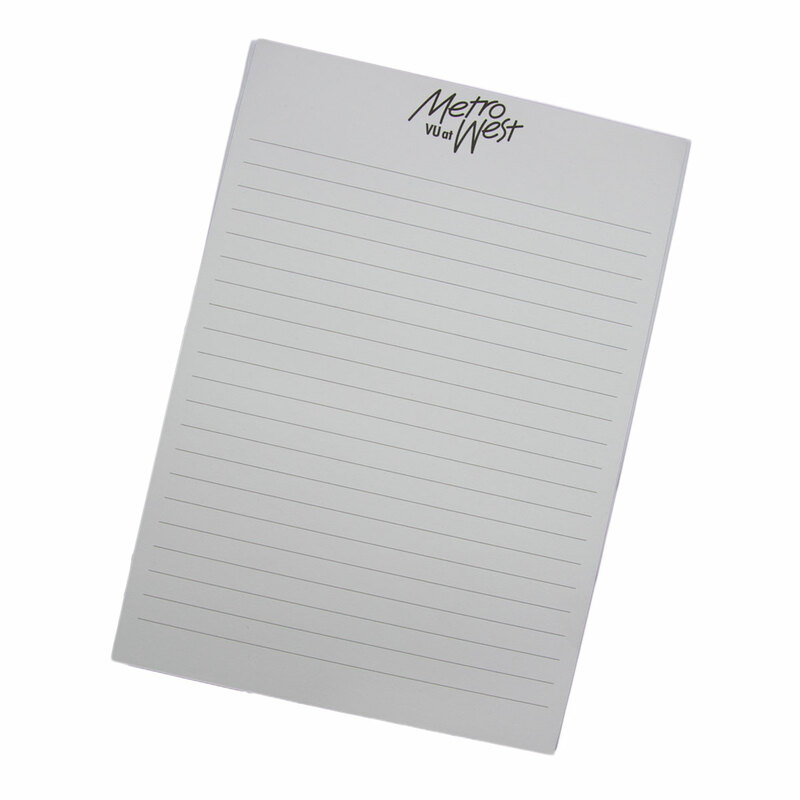 Corporate conference pads are a great way to get your logo out there and remembered! Standard A5 size and come with a print decoration of your logo and design. We can have these printed with lines, grids or your custom design - let us know what you need. Pricing you see here for these pads is costed with a standard of 25 sheets (leaves) but is also available in 10, 50 and 100 leaf thickness. Your choice of lines, grids etc.